Cleveland Indians play baseball at Progressive Field in Cleveland Ohio. 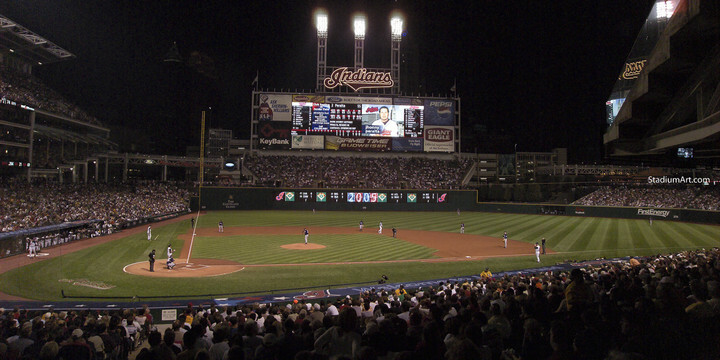 Previous baseball stadiums include Jacobs Field and Cleveland Stadium. Legends of the Cleveland Indians include Bob Feller, Bob Lemon, Frank Robinson, Earl Averill, Lou Boudreau, Larry Doby and Mel Harder. The fine art photos are available in various sizes including 11x14 photo, 13x19 print, 8x10 image and 40x30 canvas frame.